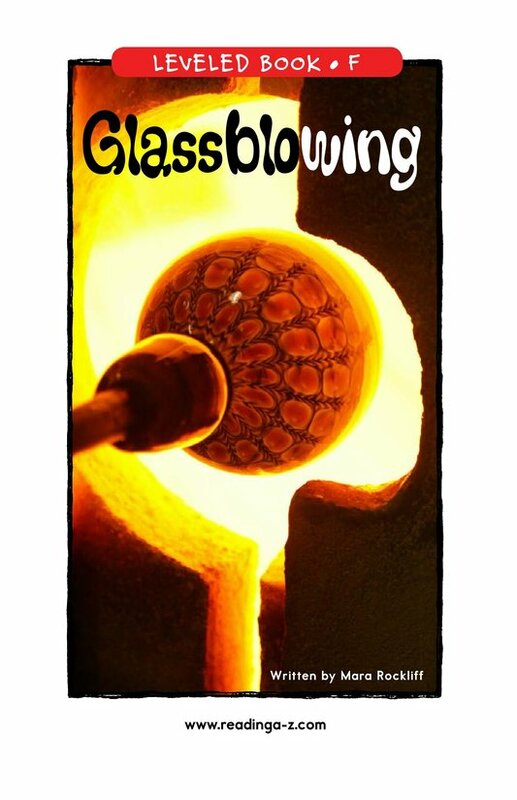 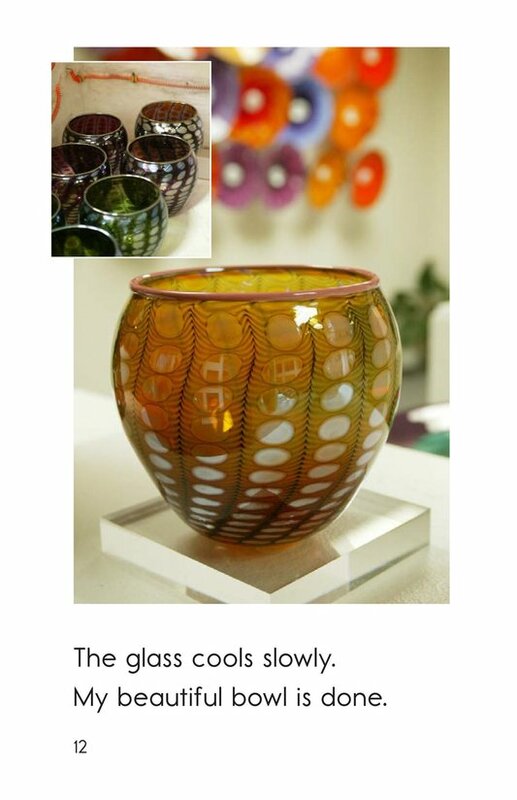 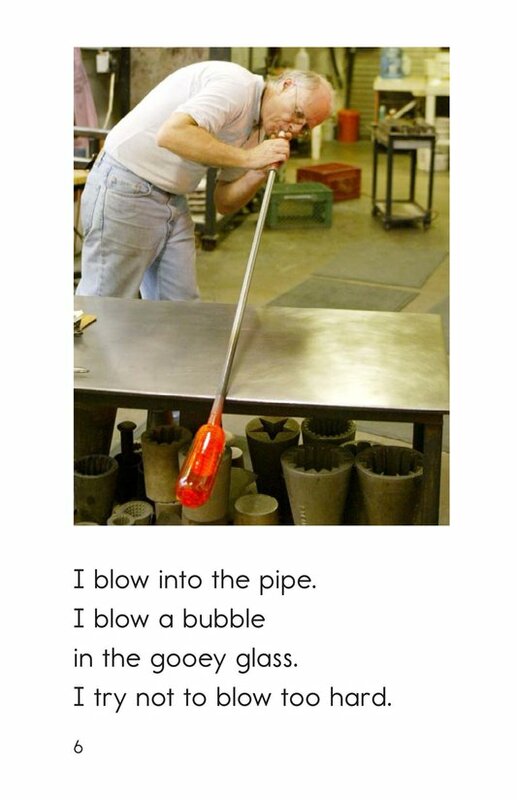 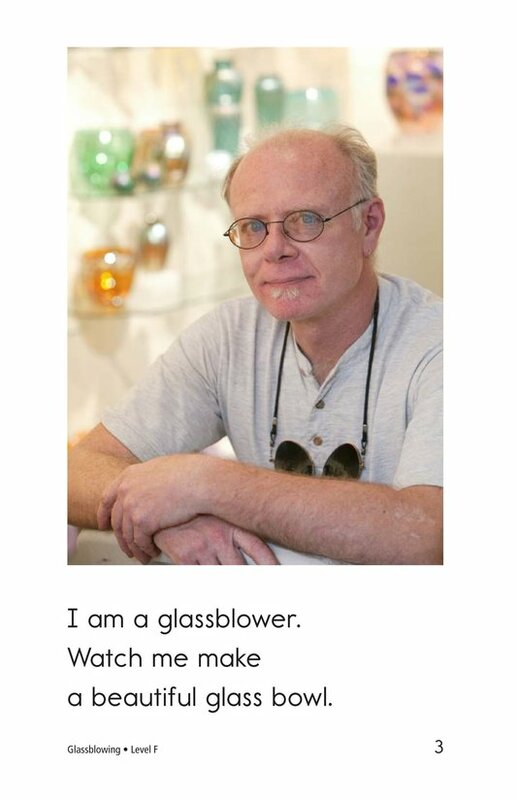 Glassblowing introduces readers to the art of blown glass. 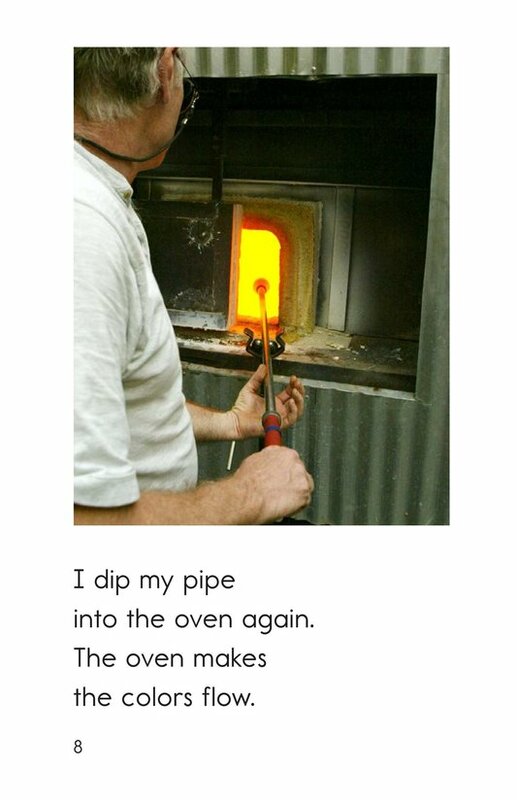 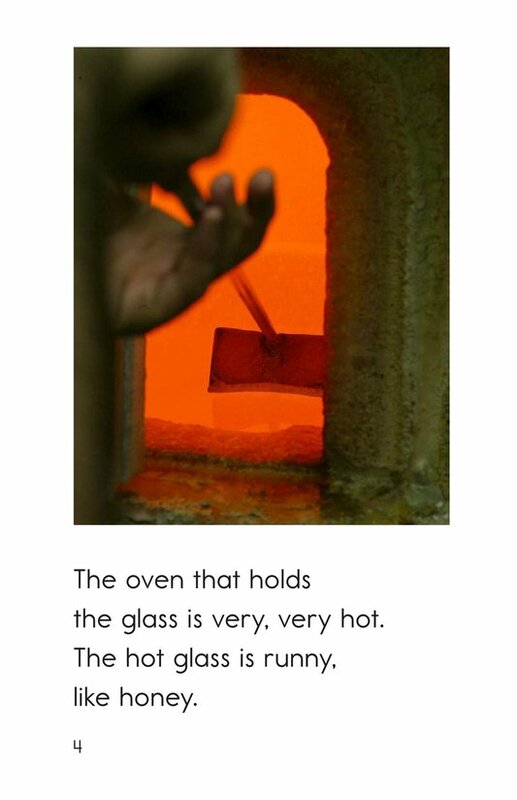 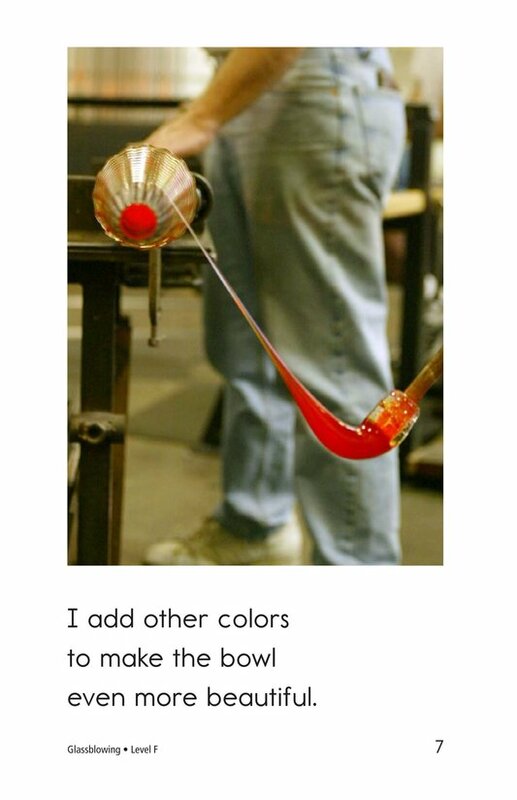 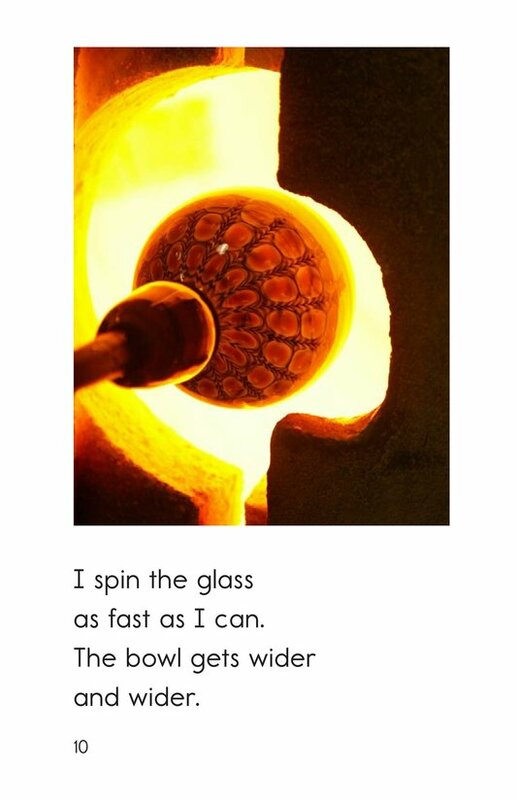 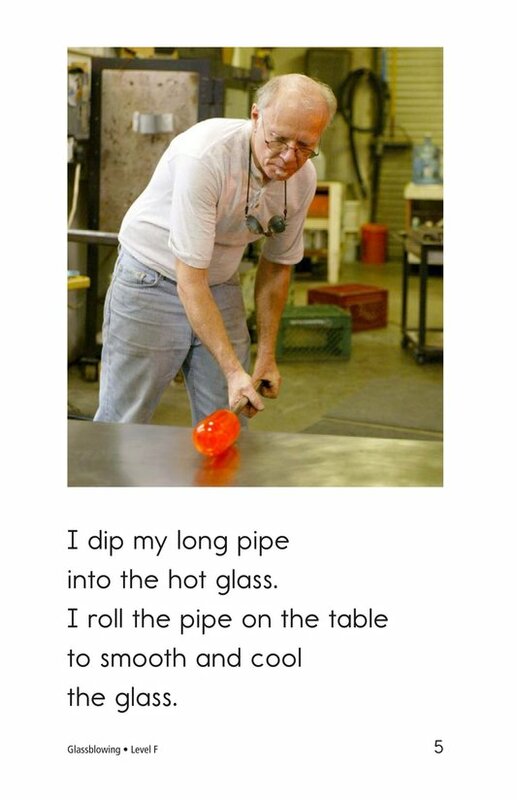 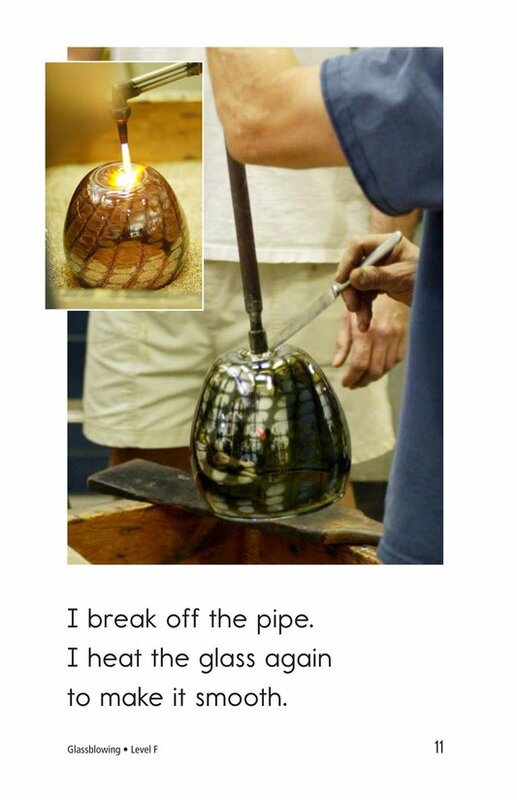 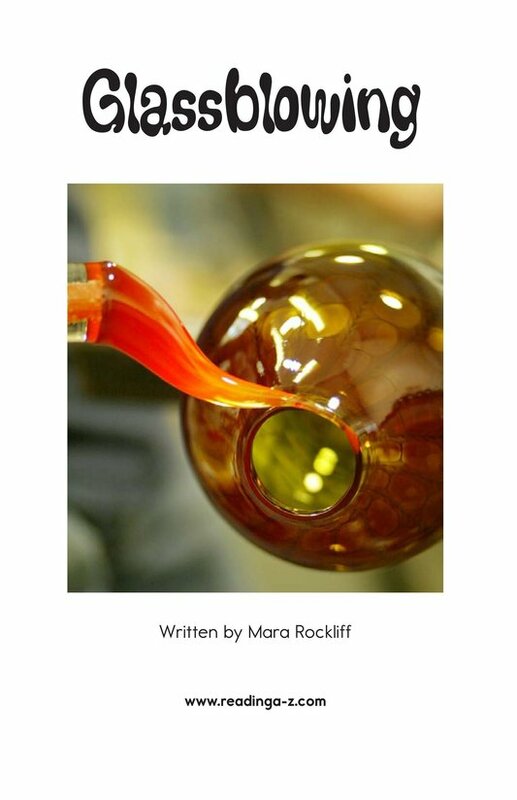 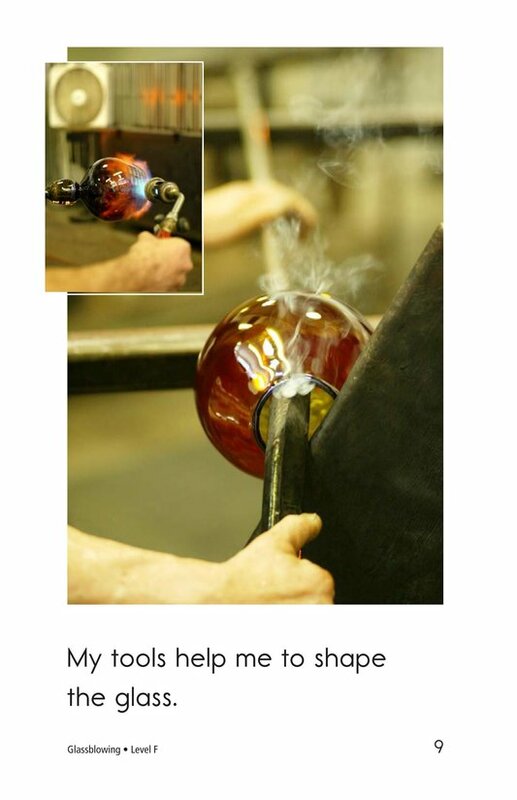 This informational book, told from the first-person point of view of a glassblower, takes the reader through the process of making a glass bowl. 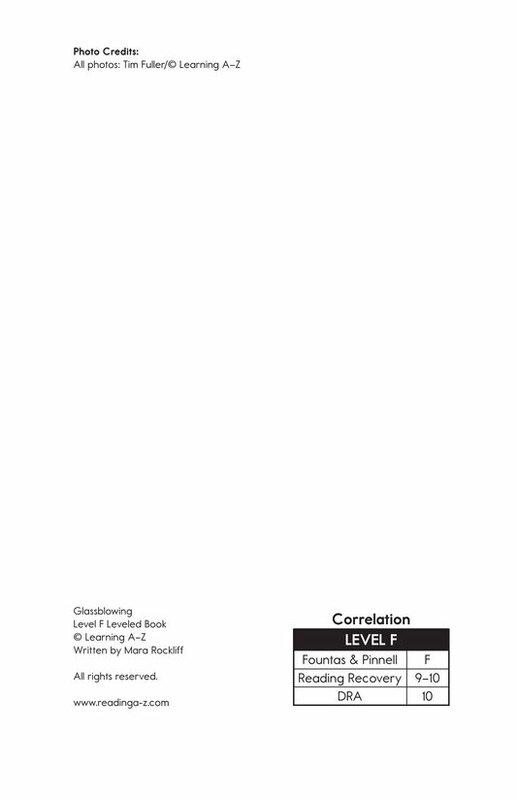 Descriptive words and action verbs, together with step-by-step photographs, make this an enjoyable book for early readers.